Update : Spirit was updated ! It solves the compatibility issue with iTunes 9.2 !! 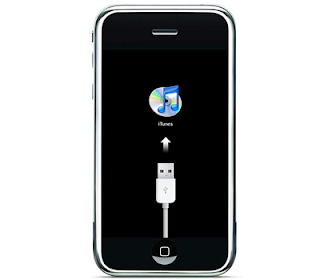 While we had been under the impression that iTunes 9.2 would be released alongside iOS 4, it appears that Apple has already pushed the update for iTunes to the public, ahead of the scheduled release with iOS 4 on June 21st, 2010. With this update comes some warning notes for the Jailbreak community, as iTunes 9.2 is not fully compatible with the recent Spirit Jailbreak tool. It is currently recommended to stay away from iTunes 9.2 all together unless you have the need to be on iOS 4 GM. If your not familiar with this, then stop what your doing and simply wait this one out. If you have not yet jailbroken your device and have iTunes 9.2 installed already, DO NOT ATTEMPT TO JAILBREAK. Your device will go into an infinite boot loop. If your iDevice is already jailbroken with Spirit prior to iTunes 9.2, then you shouldn't have any problems, but we still recommend to stay away from this update for now. Comex is aware of this and is looking into the issue further to see if he can't patch things up. Patience my friends. IF your using tools other than Spirit, The iPhone Dev Team has confirmed there are no problems with PwnageTool or RedSn0w with the new iTunes 9.2. So those are you best bet for jailbreaking tools if your already on iTunes 9.2 and need to jailbreak.